Radio 24 93.9 FM is the Malaysia’s first and only newsradio station broadcast locally on FM 93.9 MHz in the Klang Valley. 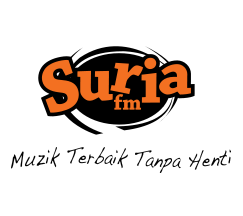 In January 2011, the Station launched its Mobile Streaming platform on http://www.radio24.ada.fm thus making it accessible worldwide. Radio24 offers Malay programming from 6:00 am to 9:00 pm daily and English programming from 9:00 pm to 6:00 am daily. Its presents news updates every 15 minutes for 18 hours a day, apart from talk back shows and live crossovers from a wide network of reporters on the field. The station broadcasts domestic, regional and world news through hourly news bulletins, quarter-hourly news highlights and breaking news as and when they happen through live field reports and telephone cross-overs. The station also has an array of talk-back shows. It also airs at frequent intervals, traffic, weather and stock market reports. The station also provides live audio streaming through its website.